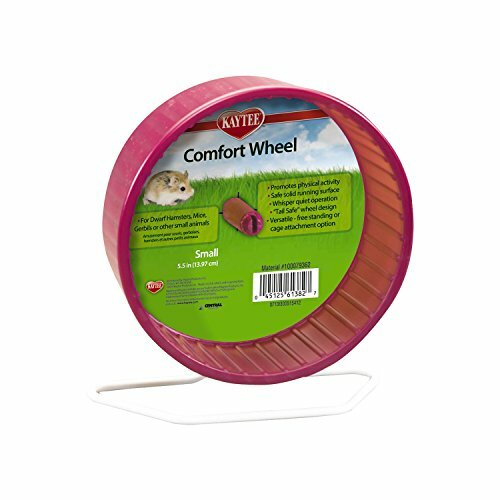 This colourful hamster wheel from Superpet will not only look great, but will give your hamster a super-silent workout! This 'mini' plastic hamster wheel in just 4.5 inches in diameter so it's particularly suitable for dwarf hamsters. It works with patented ball bearing technology to ensure that you hamster's workout is as quiet as possible. 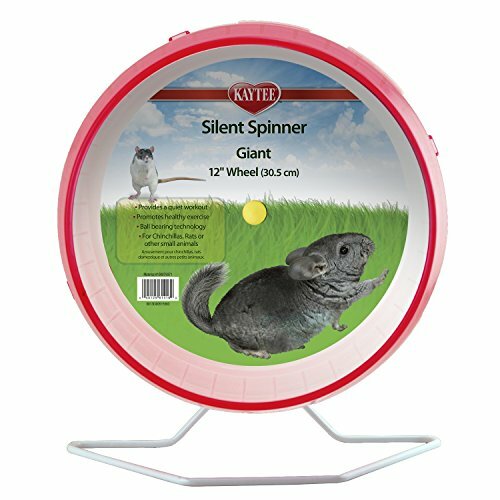 This mini hamster wheel can be either attached to a wire cage or positioned free standing, making sure it's versatile and practical. It's overall height is approximately 15cm. It's also very easy to dismantle in case it needs a quick clean! 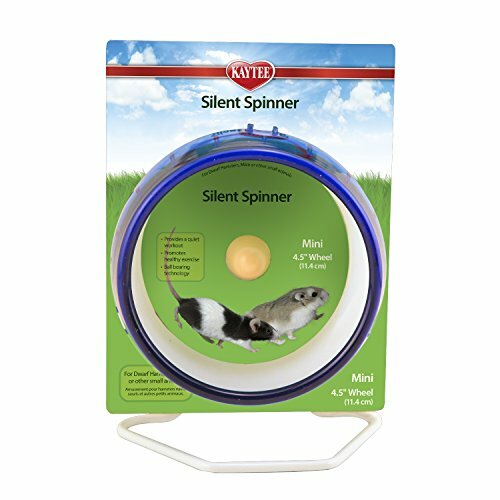 This Silent Spinner has a solid, plastic running surface, making it nice and safe for your hamster. As it's the 4.5 inch diameter version, it's important to remember that it's only suitable for dwarf hamsters. Colours available include green, red, blue and purple. You can specify your favoured colour when ordering, but unfortunately it's not guaranteed that you'll get the colour you choose. 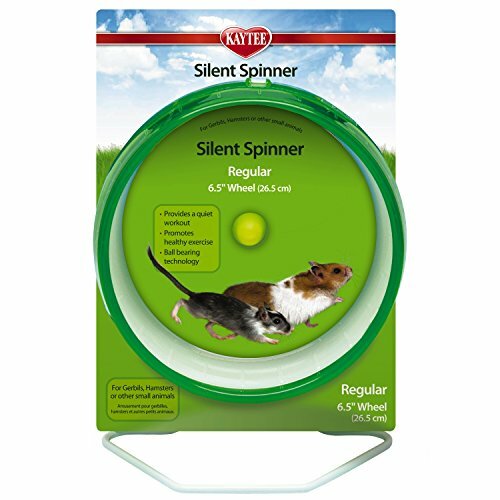 REMEMBER - hamsters are nocturnal, so this 'Silent Spinner' might just help avoid that late night whirring that keeps you awake!